Companies that pay dividends often aren't in a rapid growth mode. 1. Are 401(k) Dividends Taxable? 3. Do Reinvested Earnings Add to Stock Basis? Investors buy stocks for a variety of reasons. Some are looking for a source of current income and favor stocks paying high dividends. Others are looking for rising stock prices and would prefer that a company reinvest its earnings into growing the company rather than paying out earnings as dividends. Corporate boards decide growth and dividend policies. 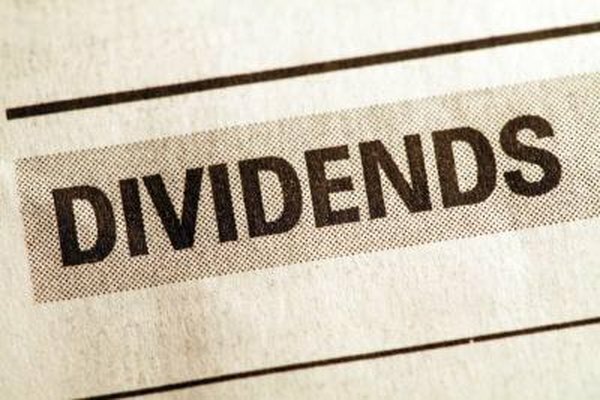 If you own a dividend-paying stock, you can choose to have the dividends reinvested into additional shares of stock. Dividends are cash or stock distributions that are financed from company earnings. A corporation's retained earnings account accumulates profits and is reduced by the amount of a dividend. Dividends can be paid only from retained earnings. Any dividend-related reduction in retained earnings removes funds that otherwise might have been used to pay for new projects or assets, or to pay off existing debt. If a company pays a dividend when it could have financed a profitable project, the company’s growth rate will be hurt. A project or investment can only be profitable if it returns more money than it costs. A corporation’s cost of capital is related to its source. The cost of paying for a project with debt is the interest expense on that debt. The cost of equity is a little more complicated. It includes the various fees for issuing new stock but is primarily a reflection of the growth in earnings demanded by shareholders, who will sell or revolt if they don’t get it. Retained earnings are “free," because their usage doesn’t incur new costs. Growth-oriented companies tend to reinvest retained earnings back into the company, because it’s the cheapest way to increase earnings. If you own a stock that pays dividends, you are faced with the quarterly decision of what to do with the dividend payment. You are under no obligation to reinvest it with the company that paid it. Indeed, financial theory dictates that you should always invest your dividend where it will generate the greatest returns without overstepping you comfort level for risk. Still, unless you need your dividend for living expenses, it might be easier to simply reinvest it in the company than to figure out another place to invest it. Reinvesting your dividend in new shares compounds your dividend income. If you have a long-term commitment to a dividend-paying stock, there is no cheaper way to buy shares than through a dividend reinvestment plan — these are typically fee-free programs set up by corporations to sell stock directly to the public. DRIPs allow you to automatically reinvest your dividends into new shares at no cost. Furthermore, they allow you to buy fractional shares, which allows every penny of your dividend to be reinvested. The downside is that transactions can take a week or two to complete, so DRIPs only make sense if you plan to hold the shares for a while. You have to pay tax on dividends, reinvested or not. Fortunately, Congress offers a tax break on qualified dividends, and if you are in a tax bracket below 25 percent -- and earn less than $400,000 a year -- your stock dividends are tax-free. If you choose a growth stock with no dividends but a record of higher share prices, you don’t have to pay taxes on capital appreciation until you sell. If you hold the shares for more than a year, you get the same tax break as that for dividends: no long-term capital gains tax if your tax bracket is below 25 percent. Of course, if you hold your shares in a Roth IRA, you pay no taxes on dividends or capital gains no matter what your tax bracket, subject to the IRA withdrawal rules specified in Internal Revenue Service Publication 590. Scottrade: Dividends vs. Growth ... or Both?